As I asked the Lost One why he had to fight, I also had to ask myself why I found myself inside of a Lost One. Obviously, some part of my self was lost in the fight for survival. I had spent most of my life as a Warrior. I told myself that I was protecting my people and tried to ignore that part of me that enjoyed fighting. Now I was asking this Lost One why he thought he had to fight, which means that I had to ask myself the same question. Yes, fighting was a vital component of my earlier life. We fought to protect our land and then we fought to be able to leave our land. Next, we fought to protect the land we had claimed as our new home. Can fighting ever be a solution for fighting? How can I answer this Lost One, when I do not have the answer myself? Well, actually, I do have the answer. The answer is NO. In fact, fighting just begets more fighting. Fighting is based on fear and fear begets fear. Fear and fighting are vital components of the third-fourth dimensional worlds, which arise from the separation and polarity. Unfortunately, fighting traps us in the very separation that fear created. I remained separate from this Lost One, just as I had remained separate from my past in which I was just like him. He believed that he was a leader. He believed that he was protecting his people. I remained separate from this Lost One because he represented the part of me from whom I had remained separate. Compassion was needed for this task. I had to have compassion for myself before I could have compassion for the Lost One. However, the longer I remained within this hologram, the more attached I was becoming to it. I was beginning to feel like the Lost One, rather than like my SELF. Perhaps, this man was a component of my Multidimensional SELF. 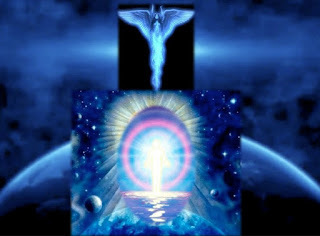 Since my roots are Arcturian, perhaps I was actually this Lost One in another reality? I was expecting this One to surrender to the transition and release the fight, but I was fighting surrendering into him. I took a few deep breaths to relax into my Core, my Spark of Spirit, to align with the ONE. I felt the ONE within me and remembered that I was the creator of my reality. I could say that the Arcturian put me in this hologram, but then I would not be the creator. In fact, the Arcturian only took me to the Holosuite in which this hologram was playing. However, this was a Hologram coming from the Mothership’s Oversoul, and I could easily access my seventh dimensional consciousness to go here. However, once in the hologram, I became so swept up with the fight that I forgot how I got here. Then, I chose to enter the fight. I felt the “call to battle” that had been my primary response for myriad lives. The Arcturian had taught me to surrender into every situation with unconditional love. Therefore, I no longer needed to respond or react with fear and anger. Therefore, I chose to bravely step into the battleground and fill it with unconditional love. I unconditionally loved, unconditionally forgave and unconditionally accepted the warrior that I had been. I felt these higher frequency energies move into myself, into the Lost One I inhabited and into all the other Lost Ones. People slowly released their unconscious reaction of fear of the unknown and looked around with curiosity and even hope. They did not know how to identify unconditional love, but it calmed them and made them feel safe. The fear of death was gradually replaced by a feeling of acceptance. Meanwhile, I was experiencing these same reactions inside myself. It did not matter if I send unconditional love to another or to myself. Unconditional love travels a circular path and returns to the sender. People were putting down their weapons and looking for the source of the unconditional. On the other hand, some tried to run away, likely because they could not believe they deserved this feeling. It was toward those Lost Ones that I focused my unconditional forgiveness. This forgiveness is what they needed to accept, so that they would not run from the love. The energy field of unconditional forgiveness moved through them. Gradually they began to forgive themselves, which encouraged them to forgive others, as well. But, there were those who could not accept the unconditional love or the unconditional forgiveness. It was on these ones that I focused my unconditional acceptance. This energy field allowed them to accept that they were not ready to forgive or love themselves. Hence, they could not forgive or love others. “We have become lost in our battle and forgot what we were fighting for. We were fighting for a chance to be happy. This chance is right HERE NOW! All we need DO is to stop fighting and accept the unconditional love. If we can forgive ourselves, we can forgive everyone and everything that we have perceived as an enemy. Also, if we can accept ourselves, we can accept everyone who makes a choice that is different from our own. “This message swirled on an energy form of expanding light that moved through the hearts and minds of all who could accept it. The light grew so strong that even the ones who could not love and forgive themselves began to waver in their decision to remain separate and in fear. The Lost One’s Leader spoke again. “You do NOT need to deserve this Light. You do NOT need to improve yourself or become better to receive this Light. This Light is the frequency of unconditional love. Hence, there are NO conditions. This unconditional love is there for you to receive or reject. It is your choice. “I tell you this now because this reality is closing. There will no longer be a world at this frequency in which you can participate. Therefore, let go of what you have believed to be real and surrender to the FEELING of unconditional love. You do not need to understand what is happening, but you do have the right to make a choice. You also have the right to allow a higher expression of your SELF to make this choice. “I know you all, and I know how we became lost in fear and anger. We all have free entrance into a possible reality in which the fear that stole our inner love does NOT exist. Darkness does not exist in these higher worlds. Hence, when we move through these energy fields, the parts of our self that we have deemed as dark will fall away. With his final worlds, more and more people surrendered to the energy field of unconditional love. As they surrendered, their bodies began to expand and take on more light. However, the Leader with whom I had totally merged went to each person still lost in fear and reassured them that they could change. They could surrender, not to the enemy of fear, but to the love of life. Thus, more and more of them took the risk to believe that they, too, could surrender to the energy of unconditional love. When the rest ran away, persistently holding on to their fear and mistrust, the Leader of the Lost Ones surrendered to the light, and I was released from the Hologram. Arcturus had ascended and so had my inner warrior.